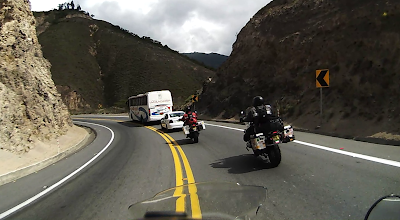 We left Pasto on our way to the border and got a little lost. 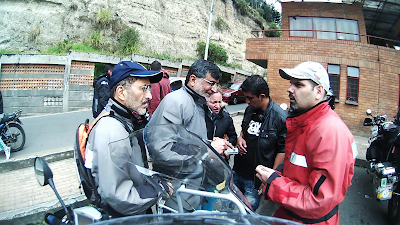 We reached the border and continued with the border crossing which was fairly straight forward although much easier on the Ecuador side and we were done in about an hour and a half. We continued to Quito the capital of Ecuador were we stayed at a nice little hotel putting our bikes in the front yard. At night we went in town looking for a restaurant and found a nice place in a square where all the new restaurants are.